Are you looking for a real life simulation cooking and restaurant management game with elements of role play and an engaging story? 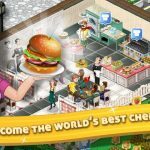 If you are a true chef aspirant and real life simulation gaming fan then you need to look no further than the newly released game, Tasty Town. 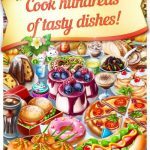 This versatile restaurant and cooking control simulation game is the latest product from the gaming powerhouse of Social Point and has already garnered huge attention since its initial release. Tasty Town is available to download and play for free on iOS devices from the Apple iTunes App Store as well as on Android devices from the Google Play Store. The game offers beautiful and eye catching graphics coupled with a smooth and lag free gameplay on most devices in a very reasonable package size of 146 MB. Tasty Town, being a flagship release, receives regular love from the developers and do not be surprised if you are met with some new features which are not discussed in this guide. The most recent update to Tasty Town occurred on 5 February, 2018 and brought with it minor bug fixes and added downloadable content to the already rich gameplay experience. Tasty Town is not your typical endless simulation arcade points earning game. To give you an idea just combine the interactive Grand Theft Auto style of missions and the customizability of the Sims series and you will understand the main concept of Tasty Town. The game focuses upon making players work for their fair share of rewards and completing the missions is necessary to achieve any significant advancement in Tasty Town. Accurate environmental depictions and real life cooking simulation grant Tasty Town the look and feel of a true simulation role playing game with all the elements of an arcade game also present in the delicious mixture. Tasty Town will give you an incredibly challenging gameplay so do not be fooled by its friendly graphics and user interface. 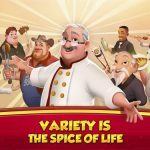 It does not matter if you are a gaming veteran or just a newbie to the world of chefs, Tasty Town has a difficulty curve that is sure to impress everyone and grant you a true sense of achievement when you are able to successfully complete the missions. The first few levels are a piece of cake for anyone who has the slightest of experience playing cooking simulation and Sim City style games. Even if you have never touched or seen such a game before in your life and want to begin with Tasty Town, the developers have set up a very friendly tutorial that will direct you towards using the basic functions in the game like turning the random visitors into permanent customers, creating new recipes and managing your restaurant staff using the on screen touch controls. Despite this seemingly detailed starter tutorial, you will be faced with an unbelievable and exponentially scaling learning curve and no matter how dedicated you are you will not be able to progress to a much higher stage without some of the tips and tricks mentioned in this guide. So pick up your smartphone and let’s start the journey to becoming a master chef in Tasty Town! Tasty Town is a game that has been programmed to represent almost real life scenarios for players so they can get completely immersed in the experience like they would while going to a real restaurant and how they would have liked the ideal chef and staff to have been in real life. This also means that the developers of this game have gone out of their way to make sure that the staff and chef movements and difficulty is also on par with what you would expect in an actual restaurant during rush hours. These improvements to the generally static Artificial Intelligence in a cooking simulation game entails that you must learn to improvise whenever needed and quite literally develop a keen management sense if you expect to progress beyond a certain point in Tasty Town. The true difficulty of this game does not lie in how hard it is to earn cash or the upgrades being expensive rather it manifests itself on the management staff board, always keeping you on the edge of your seat as you play this exciting game on your smartphone. The first step to building a good Chef’s management sense as you progress further to the higher stages of Tasty Town is to anticipate the movements of the customers in your restaurants. Just like in real life, when you are controlling your staff in Tasty Town, think as if you are controlling all the customers in the restaurant as well and not just the ones you have access to. The concept can be a bit overwhelming at first but when you really grasp this technique there will be absolutely no barrier to your accuracy of judgment while working on managing the restaurant. Also because the customers in Tasty Town are controlled by a pre-programmed algorithm, there is no possibility of random movements as you would expect in a real life rush hour situation. Therefore you can use this concept to great advantage by learning the pattern of movement that your customers tend to follow. Be warned however that this pattern fails to be useful at very high stages where the customers are moving very fast and the volume of people at your restaurant is much greater which would cause you to be distracted if you tried to find a pattern of movement among all that chaos. The second step to building a good management sense is to know when you are outmatched and think intelligently for a solution. For example you are controlling the restaurant staff and allowing for nonstop movement of customers in and out of the restaurant but suddenly three businessmen dressed in expensive suits arrive blocking and disrupting the natural flow in the entire restaurant. At this point it would be beyond foolish of you to try and weave your way from between these businessmen and ignore them because of the simple fact that they would be paying you too much relative to the other customers and it would lead to a clash of priorities. You can use a very handy trick in such a situation. The game has an option of rapid queue management which you can use to your advantage in this scenario. Your next task will be to give a signal to your waiters to start serving the first or the third queue of customers and repeat this procedure in quick succession. You will soon see that the two queues of customers that were blocking the food supply will not be much of a menace to the restaurant anymore and you will be able to control the flow of dishes smoothly once more. This will give you a wide open space to rush ahead with speed while the squabbles fade into the background behind you. As you can see, this step is crucial for the higher stages since you will be met with such situations quite frequently and it is only your presence of mind at that time which will determine your success or failure on any stage of Tasty Town. The third step to developing a good management sense is to pay attention to the small details in Tasty Town. The game developers have put a lot of hard work into making this game as life like as possible and that devotion can clearly be seen in the details while playing Tasty Town. One of the tiny details that you should always pay close attention to is the tip and mood functions given to the AI controlled restaurant staff in Tasty Town. Once you have played the game long enough, you will notice that there are two kinds of staff available to you in the game. There are waiters that will indicate whenever they are working normal, high or over limit and these are actually the most helpful kind of restaurant staff in the game. The early warning mechanism on top of every waiters head allows you to carefully plan your strategy for dealing with the restaurant flow and apply more workforce if needed. Always pay attention for any waiter showing signs of exclamation on top of their head as they are present to guide you and it would be really sad if their warnings went wasted. Then there are the kitchen staff that help with the chef but are the trouble makers and are present in the game to confuse you. These helpers will give no indication for you to detect their movement in the kitchen and they can change their tasks at any time even while you have assigned them a fixed specific project to work on. A collision of objectives like this will not crash the flow in your restaurant but it will severely impact your speed of delivery to the customers which is especially important if you are on a timed challenge mode. There is no way to avoid these clashes other than to have a knack for knowing when they will change tasks because the movement of the kitchen staff approaches an almost random nature as you progress to the higher stages. As a general rule whenever you see two people squabbling over something in the kitchen, it is always advised to start moving them around by giving them new tasks so that they don’t get a chance to turn small scuffles into big fights and end up scaring all the customers out of your restaurant. You should always look to avoid these random movements because it is much better and causes you to lose relatively less time on the clock. Tasty Town is similar to the thousands of other arcade real life cooking simulation games on the market but this game makes you work hard for a relatively low amount of reward. This means that you will have to be extra careful while spending cash in the game if you want to achieve any significant progress. This is actually the main reason why many new players give up or fail to progress beyond a certain level while in the career mode. They spend tons of cash on needless updates whenever a prompt to do so is shown by the game and as a result they do not have enough cash left for the purchase of a much better chef or unlocking other cool features in the game. An easy way to avoid falling into this trap is to collect as much cash as you can without spending any except when you absolutely need to. You will face such a situation only when the difficulty level listed besides the appropriate stage reaches to “impossible”. When this difficulty level is reached the game does not allow you to begin the stage unless you have performed some of the required upgrades to make your commands in accordance with the stage requirements. All other difficulty levels can be cleared without performing upgrades to your commands and interface. Following this strategy saves you around 20 to 25 percent more cash. This may not seem like much but it really adds up to quite a lot and will result in you being able to purchase a much better chef and restaurant staff and upgrades faster than you would have been able to had you been spending cash whenever the game prompted you to upgrade your commands and interface. Another reason why you should hold on to cash is due to the relatively low value that you can obtain from spending it on upgrades whenever prompted by the game. Upgrades come at a small price but you only get a certain amount of visual appeal by using up your upgrade card or upgrading with cash. The only benefit of upgrading buildings, your commands and interface is the ability to more efficiently manage the flow of food and control around the restaurant. 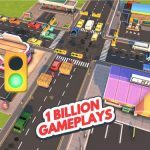 If you are playing according to the tips and tricks that are mentioned in this guide to Tasty Town, this benefit does not seem to matter anymore and you can save your hard earned cash for much worthier upgrades that will require a lot of investment when you reach the higher levels in Tasty Town. Purchasing a new trainer for your restaurant staff will give you a boost of around +20 to +30 coins per gameplay of the levels for that specific levell so now you can clearly decide if upgrading your commands and interface is worth the cash you work so hard to earn. As a general rule however, whenever you do get stuck at the impossible difficulty scenario, you should always prefer to put upgrade points into the higher level building because it gives you a better ratio of benefit by enabling you to serve more customers rather than spending it on many small buildings or coin boosters as both of those things can be supplemented by good management sense in the kitchen. The power of your thinking determines how fast you can react so always keep your eyes peeled for chaotic customers and prevent any clashes from happening in your beloved restaurant. Tasty Town is one of the few games on the market which gives you the option to grow your own ingredients that you will be using to make the dishes in your restaurant. This feature adds a great amount of interactiveness to the game as players can vary the cost of the different dishes being served in the restaurant according to the difficulty of obtaining produce from the farms in your backyard. The farms have a completely independent management system in the game and you can employ farmers and caretakers to look after the more precious of your ingredient crops. Put short, the more time you spend understanding the basics of which crop is required in what amount and how to ensure a steady supply of ingredients from your farm, the more effectively you will be able to help your restaurant grow rapidly into one of the most famous places to eat in town. Another unique feature provided by the developers of Tasty Town is the availablity of attractions and different kind of beautiful decorations for your restaurant. You will unlock more of these attractions and decorations as you move to higher stages within tasty town and expand your restaurant to further levels. However it is important to remember that not all that glitters is gold and it is wise to experiment with different kind of attractions to see which one is most popular with the visitors of your restaurant. As a general rule you should never spend extra cash on attractions and decorations for your restaurant if your staff is unhappy with the salary that you are paying them or if your farm is getting neglected as these are the more important factors that will determine the success or failure of your restaurant in Tasty Town. Keep all these tips and tricks in mind while playing Tasty Town and there will be no barrier to your becoming the legendary talk of the town!